S.A. Larsen, Award-winning author of middle grade & young adult fiction: Your Must Middle Grade Holiday Reading List! Your Must Middle Grade Holiday Reading List! This time of year is all about caring, sharing, and giving back. Although I've personally suffered a few cuts and bruises throughout 2016, I do have lots to be grateful for. One of my favorites is having been part of an amazingly supportive group of 2016 debut authors. So I want to give back. Welcome to my first of four fabulous @TheSweet16s middle grade reads installments, my next contribution to Shannon Messenger's MMGM genius plan to give middle grade reads their just due! Click HERE for the other participants. Description: Following the seventieth anniversary of the atomic bombing of Hiroshima, this is a new, very personal story to join Sadako and the Thousand Paper Cranes. Yuriko was happy growing up in Hiroshima when it was just her and Papa. But her aunt Kimiko and her cousin Genji are living with them now, and the family is only getting bigger with talk of a double marriage! And while things are changing at home, the world beyond their doors is even more unpredictable. World War II is coming to an end, and Japan's fate is not entirely clear, with any battle losses being hidden fom its people. Yuriko is used to the sirens and the air-raid drills, but things start to feel more real when the neighbors who have left to fight stop coming home. When the bomb hits Hiroshima, it’s through Yuriko’s twelve-year-old eyes that we witness the devastation and horror. This is a story that offers young readers insight into how children lived during the war, while also introducing them to Japanese culture. Based loosely on author Kathleen Burkinshaw’s mother’s firsthand experience surviving the atomic bombing of Hiroshima, The Last Cherry Blossom hopes to warn readers of the immense damage nuclear war can bring, while reminding them that the “enemy” in any war is often not so different from ourselves. My Splats: Sweet at times. Heart-breaking at other times. The true-to-life historical foundation created at the onset of the story ignites the human curiosity we all possess. School kids of this age group will go bonkers over the realness of the history. Told from the view of one their age, one who was there. I mean, there were so many interesting historically-based details I never knew about, and I'm a huge history buff! This will be a fabulous tool for teachers in schools to share this era. But this story is more than mere history. It explores the physical, emotional, and economic impact of one of mankind's most devastating and self-created tragedies - war - through the innocent yet courageous voice of a young girl. Such a great way to share this segment of our world's history. The reader feels the fear, confusion, and threat of war through Yuriko, and then experiences the horror of its aftermath. This story gets even more personal, though. Woven within its fibers is a tale of family traditions, culture, and secrets that change all involved. Description: Sam knows she wants to be a drummer. But she doesn’t know how to afford a drum kit, or why budget cuts end her school’s music program, or why her parents argue so much, or even how to explain her dream to other people. Sam has a great voice - authentic and flows with ease. Basically, she breaths off the page. Like most kids her age (heck, myself included), she questions much about herself and her world, constantly exploring to find her place. Sam experiences loads of inner conflict, which just adds to the way others misunderstand her, her mannerisms, her loves, her hopes, and her dreams. She's a thinker, which I love! The author does a great job showing and exploring the stereotypes of this age by peers and even adults, and the effects. I've not read either of these books but have them on my future read list. Thanks for sharing your thoughts and I look forward to more in 2017. Thanks for stopping by, Greg! So glad you have them on your reading list already. These are both new to me. Thanks for sharing them, Sheri. Wow. The Last Cherry Blossom sounds intense. I'd like to read that. Yeah, it was so good. I'm a history buff, so reading this story with the influence of a first hand account was great! Nice to see you back. Thanks for the recommendations. Can I just say, I hate crying books? No kidding. It's part of the reason I avoid so many contemporary stories. Regardless, they both sound like wonderful reads. I love historical fiction and stories based on true stories. I have not read any personal accounts of Japanese children's surviving the atomic bomb. 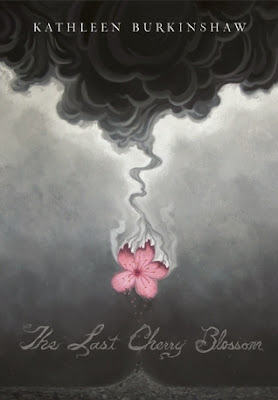 Can't wait to read The Last Cherry Blossom. And thanks for introducing me to I Am Drums, as I like the idea of a girl wanting to play drums. I love reading a good review. Thanks for the time you take to do this. I wish I could write a good review - it's a skill. That Hiroshima book has my interest. I love the cover. It speaks volumes. Thanks, Sheri. Great reviews for both books. Congrats to each author. The Last Cherry Blossom sounds like one I'd read. I've always enjoyed Asian stories, and this one sounds intense. I picked up a book about Hiroshima from several people's perspectives (including a little boy) when I was a kid. It's stuck with me ever since then. This book sounds like an excellent way for kids to learn about it. I Am Drums sounds good, too. Kids have passions they want to follow, but they have adults holding them back sometimes. Wishing Kathleen and Mike much success with their new releases! I'll tell you a secret -- whenever I see a writer blog a lot less, I get rather jealous 'cause I know that writer is getting rid of distractions and spending more time writing, and that sounds heavenly. Good luck with your writing and have a wonderful Thanksgiving! The first one sounds really good and a great way to introduce kids to history. I always found fact based fictional history much more informative than the rather dry history books. 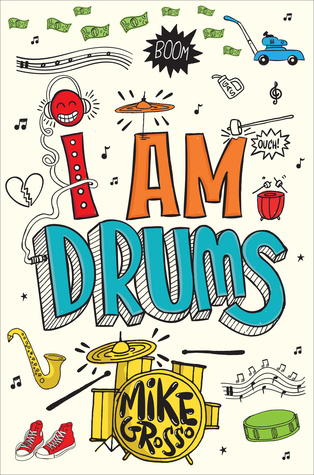 I am Drums sounds like a great book for any kid struggling with their passion. Congrats to both authors! I agree on all counts, Marcy! The whole historical element has always been fascinating to me. And yes, music is a great element to entice kiddos to push for their goals. And, I get going MIA. I had a moment or two this year like that. Happy end of 2016 and Happy Thanksgiving! Both are new to me too. But I'm going to be checking them out. These books sound really good! Thanks for the review!